Your California Divorce Proceedings Will Affect 4 Top Areas Of Your Life. Marriage represents commitment, partnership, and the promise to navigate life’s challenges together. However, sometimes even the most promising relationships fail. From infidelity to finances, incompatibility or simply growing apart, many couples find that their marriages need to end despite their best efforts to the contrary. These situations are incredibly stressful in terms of both emotions and logistics. On one hand, you have the mental and emotional adjustments of completely redefining your living situation and interpersonal relationships. On the other hand, you face the complex processes of disentangling your property, finances, retirement accounts, insurance, and more from your spouse. If you have children, you must also navigate custody and child support, which adds an even more complex component to your divorce process. The team at Doyle Schafer McMahon, LLP understands how trying a divorce can be, which is why we are committed to providing caring and compassionate family law services to people throughout our community. If you are researching divorce lawyers in Orange County, we would like to provide you the help you need during this difficult time. Our team knows that every divorce is unique, which is why you need an attorney who sees you as more than just a client. You are a person with a past, present, and future, and your attorney should be as invested in your outcome as you are. Whether you are looking for an uncontested divorce attorney for a quick resolution, or you anticipate a contentious process, your attorney will be your advocate, partner, and your voice. Property—Do you own a home, rent, or have other investment properties? Your attorney will help break down your options for you and explain the legal recourses that both you and you ex have. If children are involved, this may add an additional level of consideration for the courts. Child custody and divorce—In an ideal situation, you and your ex can come to some reasonable arrangement that puts your children’s best interests at heart. However, we all know that not all divorces can progress in such a civil manner. Your custody and child support attorney will help you fight for a fair and equitable arrangement and help you understand your rights and obligations. Retirement/Pensions/Investments—These can be tricky areas when it comes to your divorce settlement, which is why your attorney will work carefully with you to ensure that every possible asset is accounted for within the settlement process. 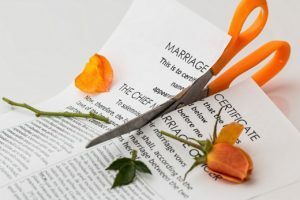 Alimony—This complicated topic has evolved in recent decades, and only your attorney can advise you whether alimony is applicable to your situation. As you begin your process to find a divorce attorney, we encourage you to contact us at 949-727-7077 for a consultation. Our team knows that you are just beginning what could be a long and difficult road. However, we also want to show you that you really will find hope and healing at the end of it. With our help, you can proceed knowing that you have an advocate who will ensure your voice is heard.